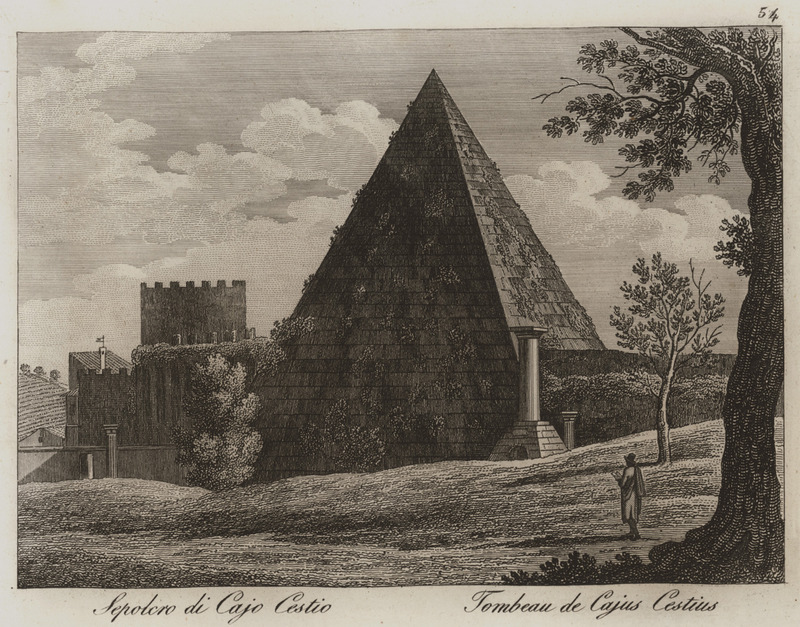 View of the pyramid of Gaius Cestius, Rome. 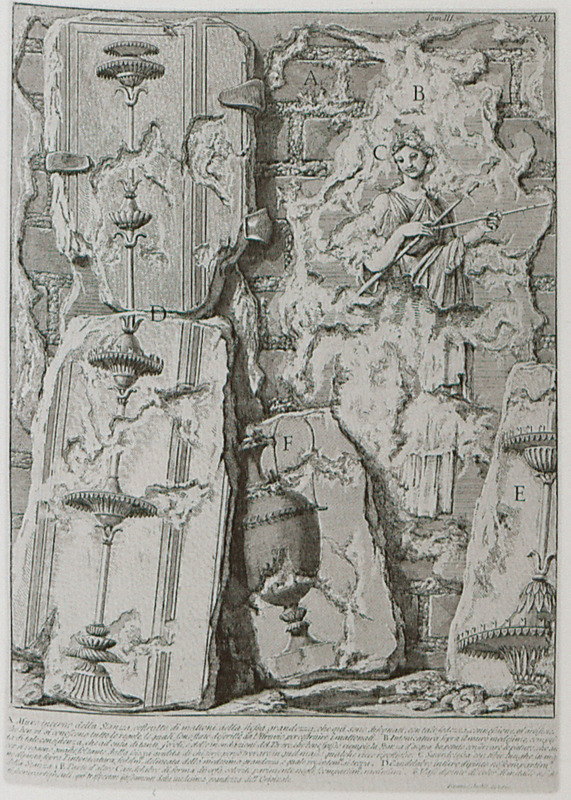 Inscription from the pyramid of Gaius Cestius, Rome. 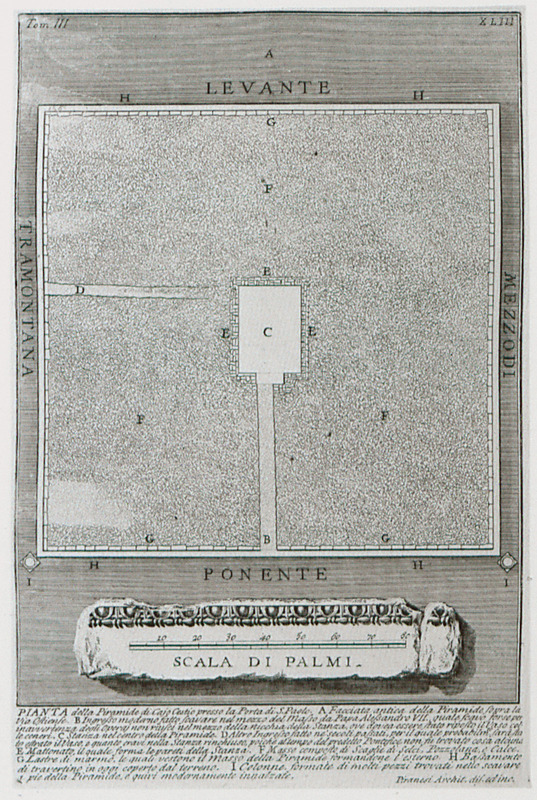 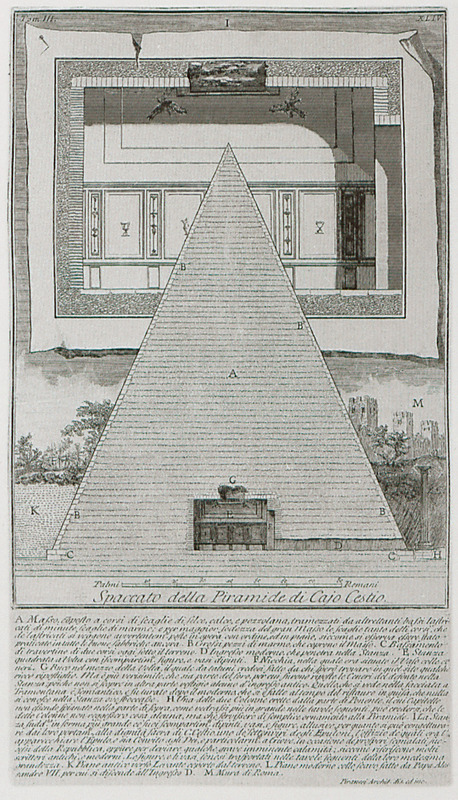 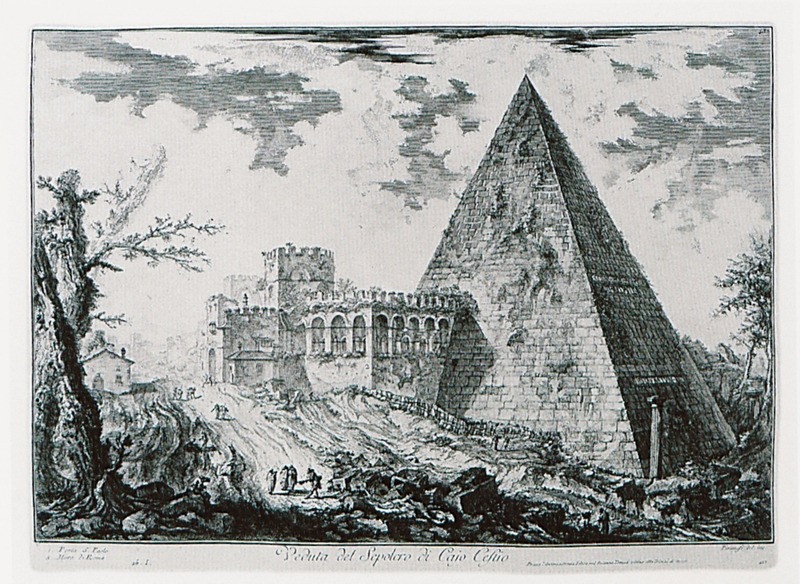 Plan of the pyramid of Cestius, Rome. 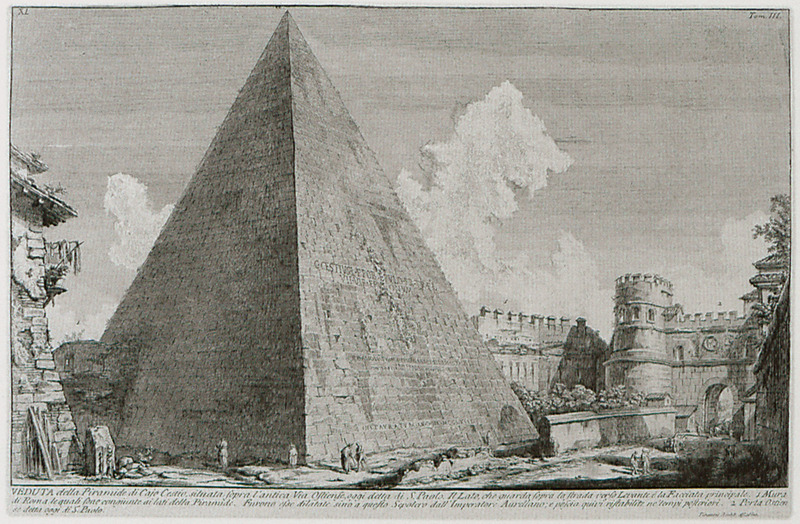 Section of the pyramid of Cestius, Rome. 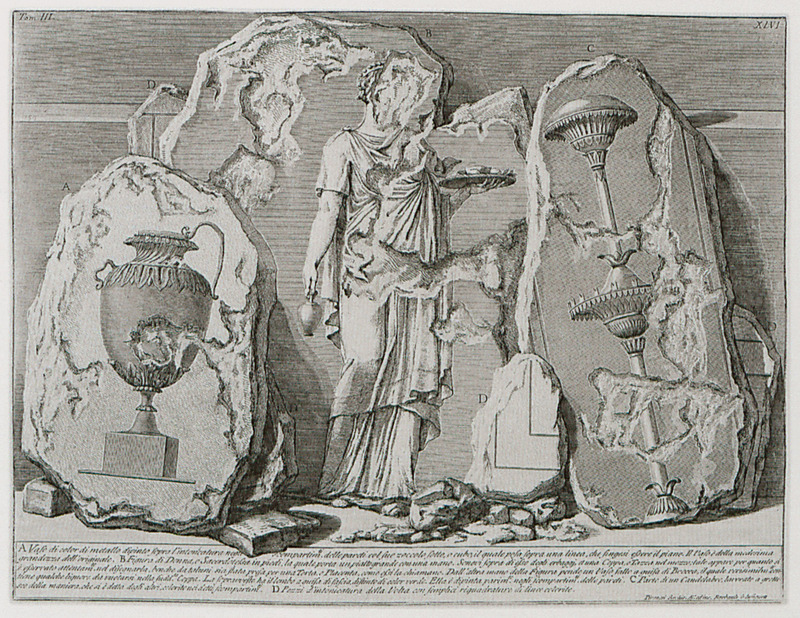 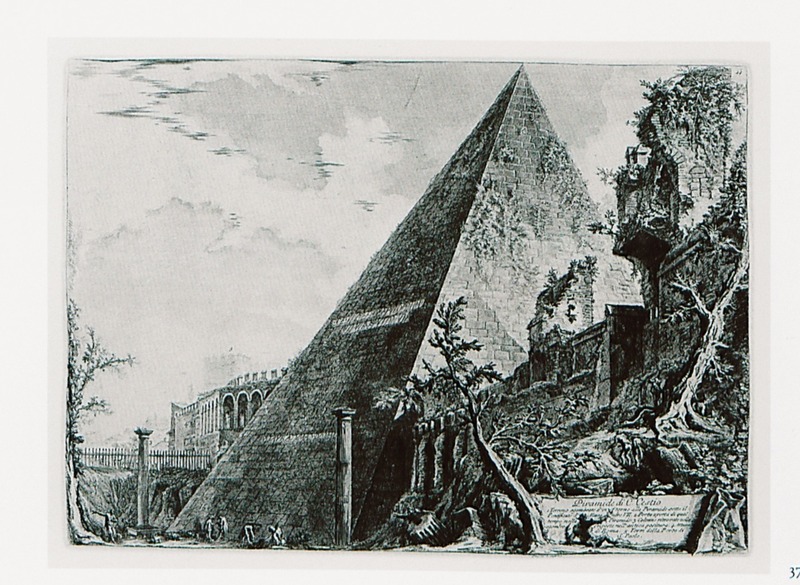 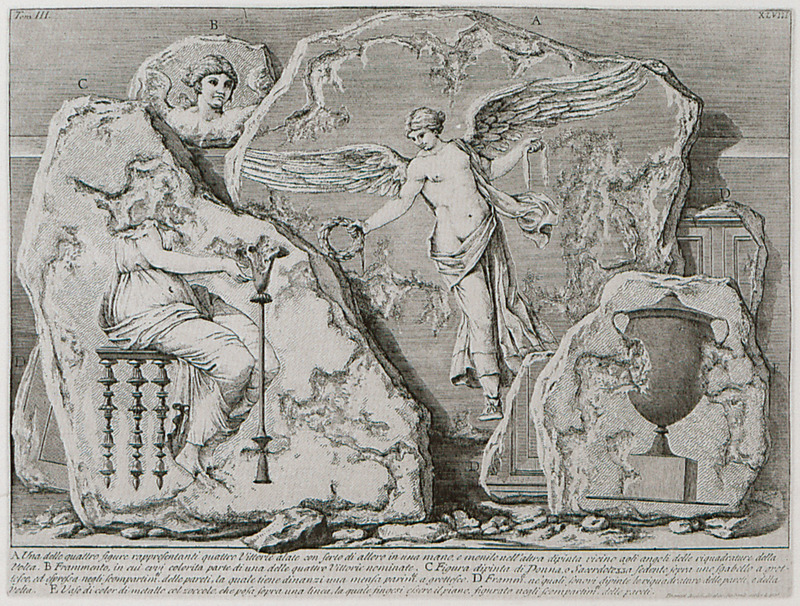 Pyramid of Cestius, Rome: Fragments of murals from the funerary chamber. 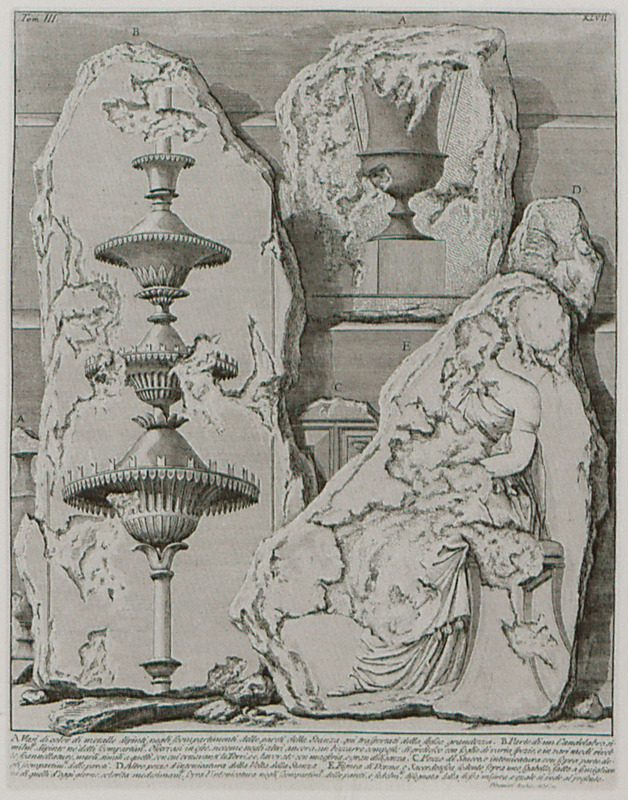 Pyramid of Cestius, Rome: Vases from the funerary chamber.